Denholm's appointment was part of an SEC settlement agreement. Elon Musk has a new boss. Tesla’s board of directors has announced that Australian telecom executive Robyn Denholm is the car company's new chairwoman, effective immediately. (Kiichiro Sato/AP, FILE) Tesla CEO Elon Musk speaks at a news conference in Chicago, June 14, 2018. In appointing Denholm, Tesla fulfills part of the settlement agreement reached by company founder and CEO Elon Musk and the Securities and Exchange Commission. 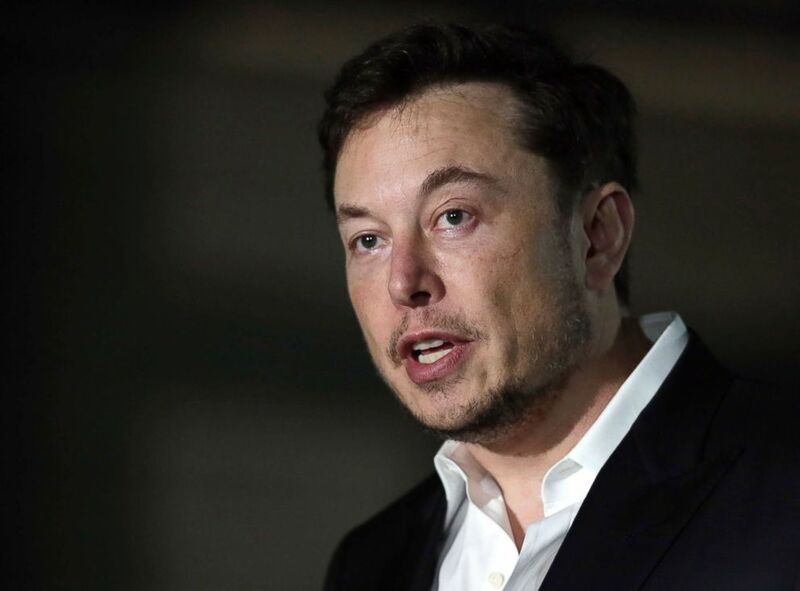 The deal required Musk to resign as chairman for at least three years and for the company to appoint two independent board members. Musk will remain as CEO. The appointment of Denholm has silenced rumors that former Fox executive James Murdoch, who is also a Tesla board member, would get the post. The move to stop a company founder occupying positions of both CEO and chairman has been a popular campaign for activist shareholders of companies like Tesla and Facebook. Corporate governance watchdogs say it's a conflict of interest for a chairman of the board to be a CEO because the board hires and fires CEOs. Denholm, who was already on the Tesla board, will leave her role as CFO and head of strategy at Telstra, Australia’s largest telecommunications company, to work for Tesla full time, the company announced Wednesday. She was also the chair of Tesla's audit committee. She has worked in Australia and Silicon Valley at technology companies including Juniper Networks and Sun Microsystems. She has also held finance and management roles at a more traditional carmaker -- Toyota. “I believe in this company, I believe in its mission and I look forward to helping Elon and the Tesla team achieve sustainable profitability and drive long-term shareholder value,” Denholm said in a statement released by Tesla. However, promoting Denholm, who has been on the board throughout Musk's recent erratic phase, may not correct course, says at least one expert. "She's been on the board for four years. You've had real oversight problems on the board. Promoting someone to chair who was part of that problem doesn't solve any problem," Charles M. Elson, director of the John L. Weinberg Center for Corporate Governance at the University of Delaware, told ABC News. "Had they brought in two new directors and made one of them chair, that would be different." "Simply put, if someone driving you gets you lost in the woods, they're not going to get you out of the woods," Elson added. In September, the SEC sued Musk for securities fraud for a series of tweets about taking the company private without having secured financing. Musk’s settlement required that he and Tesla each pay a $20 million fine to the SEC, which was to be returned to investors who lost money from the misleading tweets. However, it did not require him to admit to misleading investors with a tweet about taking Tesla private at $420 a share. Musk later said the price was a reference to cannabis culture to amuse his then-girlfriend, the musician Grimes. For his part, Musk will "be a resource to Robyn and provide any support that she requests in her role as Chair" to ensure a smooth transition, according to a statement from Tesla. In contrast to his more bombastic tweets, even post-settlement, Musk tweeted a relatively subdued response to the announcement about Denholm: "Would like to thank Robyn for joining the team. Great respect. Very much look forward to working together."